Pick up the wand and look at the paper. 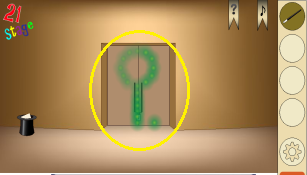 Drag the wand around the door to outline the key. 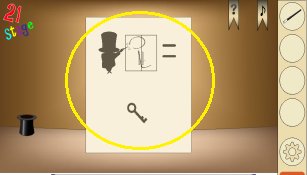 Pick up the key and use it on the door.